← Having ideas isn’t the problem. The hard part is making them happen. I always complain if I receive rubbish service (so most days), and when I have a great customer service experience I shout it from the rooftops. Partly because it’s so rare and partly because I want to share that providing great service may take a bit more thought and effort, but it’s not actually that difficult. On Thursday I went for dinner with my friend Katie, the brief was budget. She turned up with a 2 for 1 voucher because her mum had bought a special offer pizza in Sainsbury’s last week. Always sticks to the brief does Katie. So we rocked up, well more like waded up in the torrential rain and joined the queue of drowned rats at the door. The restaurant was packed but within a few seconds the waitress said hi, and advised us we would have a 15 min wait, was that OK? We had a lot to chat about and didn’t want to back outside in the rain so decided to stay. She offered us a four person table, but we offered it up to the four people behind us as a two table would only be another 10 minute wait. Once seated our waiter gave us each a glass of wine on the house as we had to wait and for offering up the four person table. Wow – free wine?! Great stuff. Once we got over the shock, we took a moment to look around this transformed Pizza Express. The interior had been given a makeover, bright colours and stripey walls, funky chairs and sofas and one wall was a big screen playing an unidentified black and white film. It didn’t feel like we were in a Pizza Express. Our waiter was great, attentive, but not pushy and he was actually excited to tell us about the different pizza bases and pointed out that he should know, as he was half Italian. The staff had new uniforms, rather cool blue t-shirts with a fluorescent re-branded logo although the chefs were looking a bit jailbreak their striped outfits that matched the walls. Our food was good. The menu had been given a refresh too and there were more charity partnership offers than before. We sampled the new Baileys latte (it would be rude not to), and I fully recommend. The restaurant was busy but we didn’t feel rushed. When we wanted the bill the waiter was there, no Mexican waves or pretending to walk out to get their attention required, which in the norm in my recent experience. Our meal was on brief and cheap as chips, in fact it may only have been cheaper if indeed, we had eaten chips. On leaving a waitress that we hadn’t even spoken to smiled and said thanks and she sounded like she actually meant it too. And THEN the waitress on the door apologised for the wait again. We left the restaurant reeling in shock at this unexpected great experience. We all bang on about the customer experience and donor journey, but I’m not convinced many organisations are actually doing it. So well done Pizza Express you have done a great job. You have transformed from average high street pizza chain to providing customers with a remarkable pizza eating experience. I think its fair to say that your pizzas went a bit small for a while and I am still not sure about the ‘diet’ pizza with a hole in the middle but based on this recent experience I’ll let you off. I think you are back on track. So team what can we learn from Pizza Express? Is it as simple as a bit of a brand refresh, lick of paint, some customer service training combined with getting the right people on the bus in the first place? 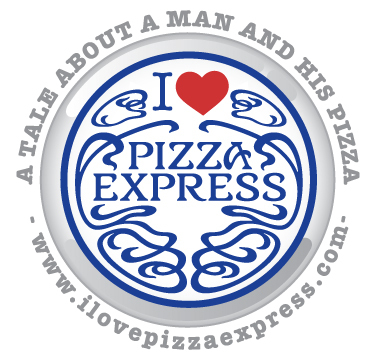 It feels that Pizza Express have really worked at cross selling their products with simple supermarket incentives, integrating online and offline messages, providing customer incentives to return, providing great product, actively seeking feedback, providing superb in restaurant service and excellent value for money. But don’t just take my word for it – go hang out in Pizza Express or anywhere else that provides good service and watch and learn. And then go do it yourself. I’m still reeling in shock and thinking I should probably go to the gym today to offset the anticipated voucher. This entry was posted in conversation, customer service, Enchantment, fundraising, ideas, Innovation, Inspiration, London restaurant, pizza, relationships, remarkable and tagged baileys, charity, customer service, eating, food, friends, london, menu, pizza, pizza express, restaurant, sainsburys, voucher, wine. Bookmark the permalink. This is a terrific post. The customer service experience in the USA is not much different than you have been experiencing. Great customer service is so rare that, when encountered, it really stands out. Your pizza story reminded me of an experience I had with a local deli. The owner was an unpleasant fellow. The place was dirty. The staff was terrible. What little customer service there was, was bad. A new owner came along and shut the place down for a few weeks to spruce it up before a grand re-opening. I was hoping the entire staff would be replaced otherwise it would still be a place to avoid, even it had a fresh coat of paint. When I returned, shortly after the grand re-opening, I was initially saddened to see the same staff. However, on this visit, they were friendly, efficient, helpful. In short, the entire staff was wonderful. Customer service was four-star restaurant quality, not deli-level. So, what was the difference? Clearly, the new owner won over the hearts and minds of the staff. The lesson here is that great customer service begins at the top. Take good care of your staff, and they’ll in turn take good care of your customers or donors. Thank you. Agree, staff that deal directly with customers are soooo important. Although I have to say, when I have been to the USA I have found the customer service generally way better than in the UK. I’ll have to go back to check! Thanks for reminding me of the basics Lucy, it seems to me from reading about how all the different bits came together, Pizza Express have integrated their communications, something so many organisations still don’t get – and that management and staff are all on the same page. Reminds me of the A Team’s motto, ‘I love it when a plan comes together’ 😉 This story certainly makes me hungry for one of their pizzas! Great post and so unexpectedly relevant!